I wouldn't use all of these things but I love that it comes in a cute little caddy and that everything matches! 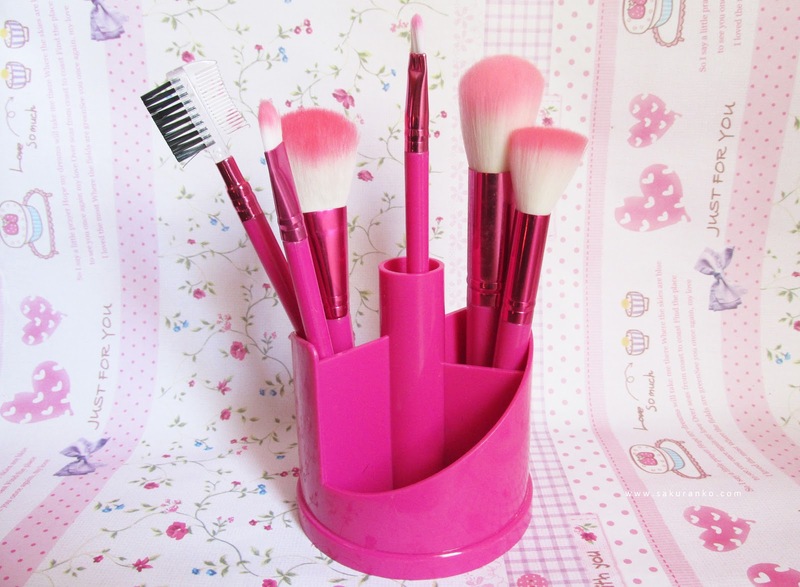 Love these pretty pink brushes. They look so soft. Love the pink brushes, such a fun color! I love brushes that are made of synthetic hair. They are so soft and gentle. They feel really nice on my skin. Very cheap, and they kinda look it too, but the pink is just adorable, there is no denying that! what a cool brush set. Looks absolutely awesome! I need such set for sure! These brushes are so nice !! Seems like a good product...great look. These look like such beautiful brushes! ¡Qué lindos que son! Los estuve viendo en la página, pero dudaba si comprarlos o no. ¡Gracias por la reseña! Great review! I love the colour and they look so so soft! How cute! 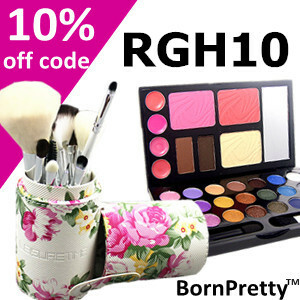 Pretty beauty tools, they match your wallpaper too :) It's nice to see products like these. Great post! And very enlightening, as well! And the set is lovely! I bought tome brushes from bornprettystore a while back too and I absolutely love the quality and the design of them too >u< ♥ I think the brushes you picked look even cuter than mine and they're so affordable and high quality too! I like the fact that they don't lose fibers after washing them but I heard that you need to be careful and only let the "fiber part" get wet so the brushes will be in a good condition for a very long time! ahh superr pretty brushes!! so princessy <3 no more laziness in putting on make up !